Everyone loves science puns! The periodic table of elements has been used to spell out words since the periodic table was first introduced (probably)! This cute periodic table body suit is another one thrown in the pile of periodic pun designs! 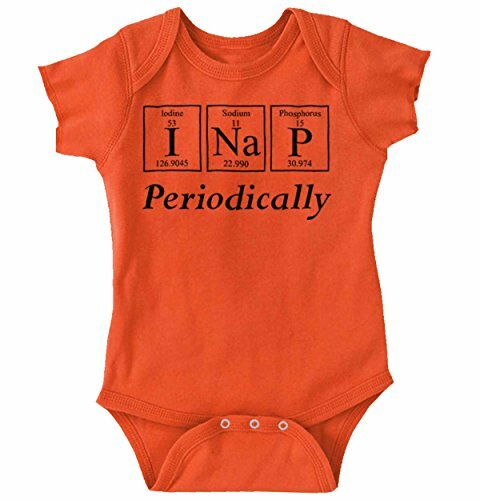 I nap periodically is hilarious and truthful enough to get other parents laughing as well!